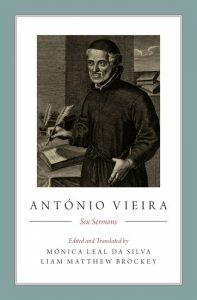 Oxford University Press has published English translations of six sermons by Jesuit missionary António Vieira. Mónica Leal da Silva and Liam Brockey edited and translated António Vieira: Six Sermons. More details about António Vieira: Six Sermons are available at Oxford University Press.